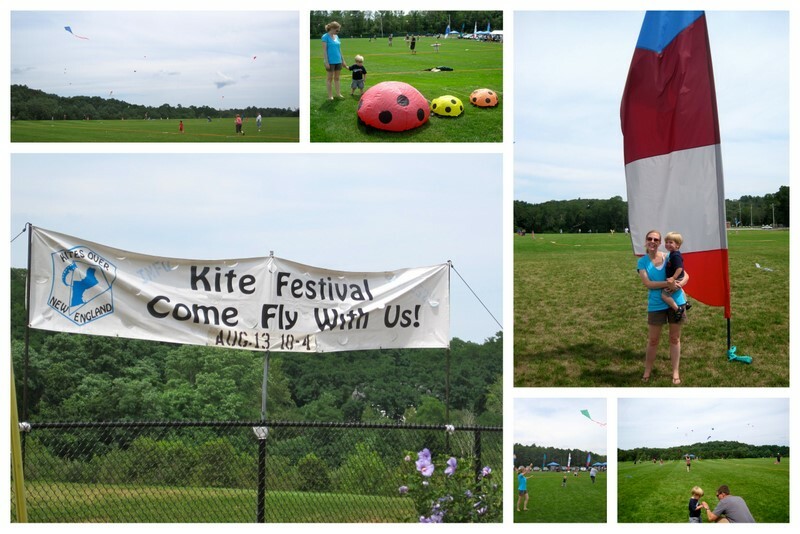 There were lots of colors to be found on Kite Day. 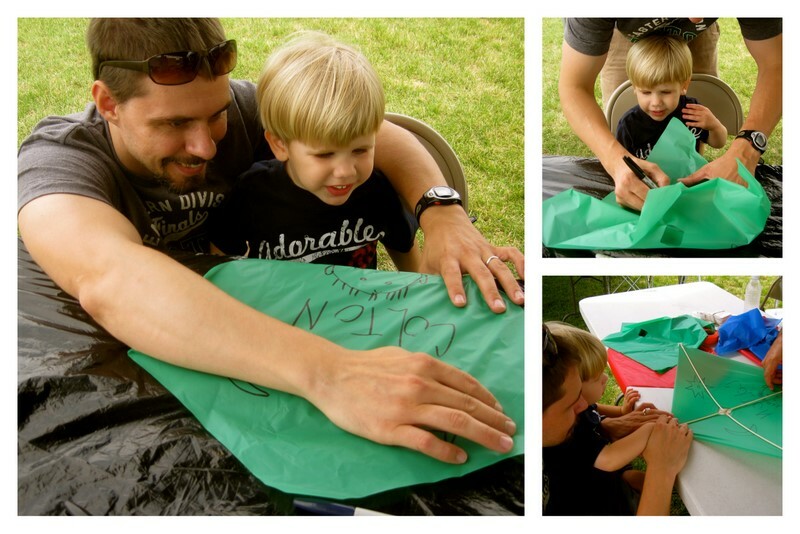 Colton got to choose the color of his kite and tail. He chose green and orange. Papa helped decorate it . . . and then taught Colton how to fly it . 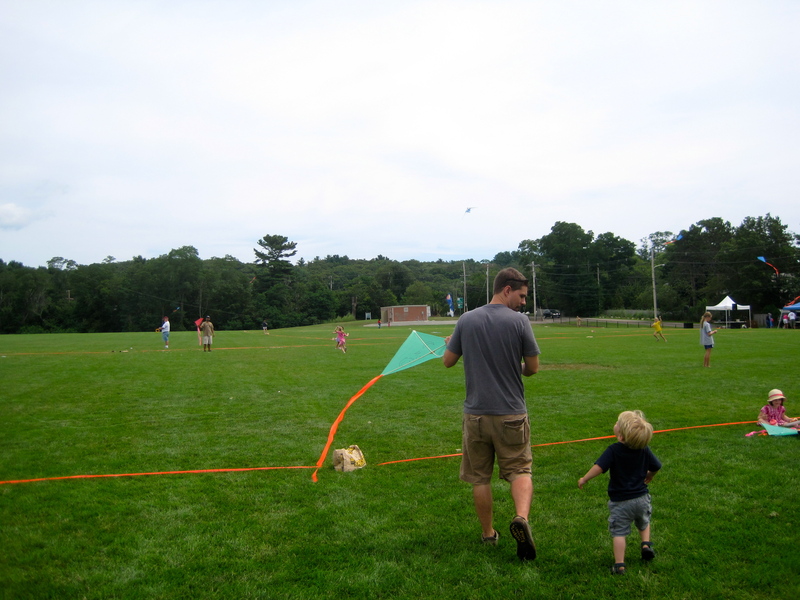 . .
Colton loved flying his kite . 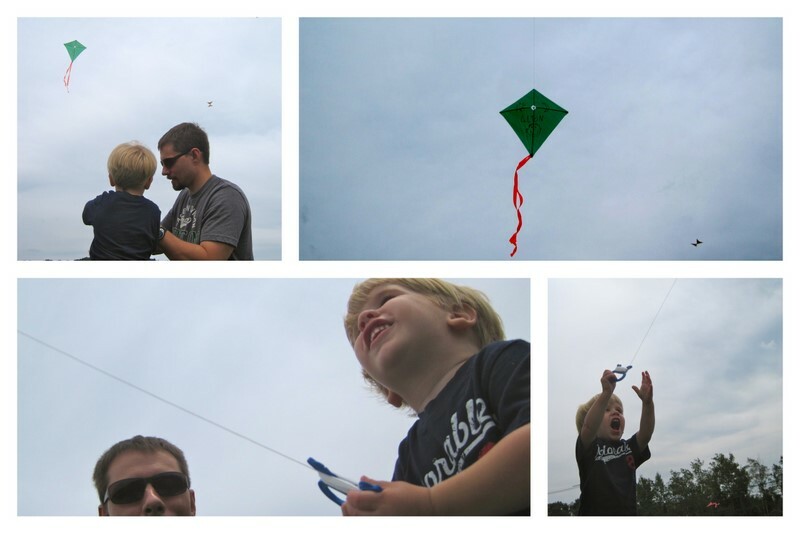 . .
And he loved seeing all the other kites . . . the many colored kites . . .
What a wonderful way to celebrate summer!